The procedures for the online seat allotment for second year engineering courses and for first year architecture course for the year 2012-13 have started. 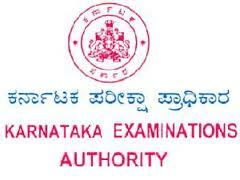 Karnataka Examination Authority (KEA) has kicked off the mock trial of option entry training session for practice. Rank holder has to select the link "Hands on training practice for option entry (mock operation)" from September 12 to 14. A seat matrix of Diploma CH-2011 has been made available to for practice purpose. This practice option entry is to make the rank holders gain confidence and get hands on training for the real option entry which will start as per the notified schedule. Unique key required to log on to option entry portal will be accepted by the system only after entire document verification process is completed for all the candidates. Till such time CET application number has to be used for practice.